Huperzine-A is an alkaloid extracted from various species of Chinese club moss (Huperzia serrata). 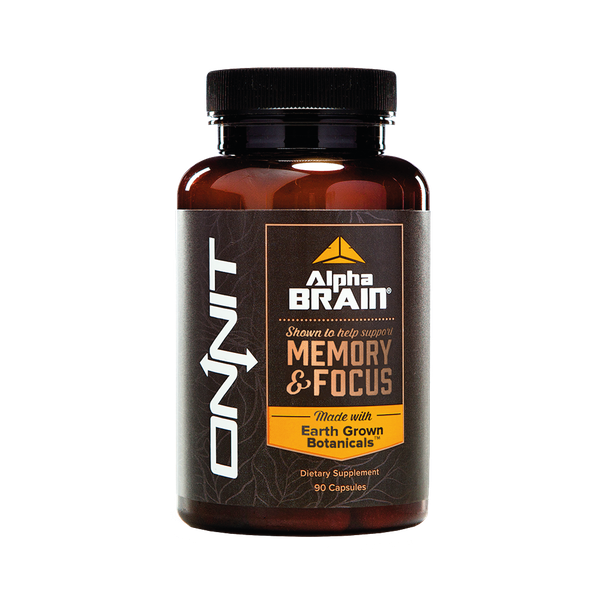 Its nootropic action comes from its ability to inhibit acetylcholinesterase, which is the enzyme that deaminates (breaks down) the neurotransmitter acetylcholine. In recent years, antiacetylcholinesterases have been shown to have significant improvements in learning and memory, and are currently being used as an Alzheimer's therapy. Huperzine-A is extracted and concentrated from the Chinese firmoss, and other firmoss'. [-] Huperzine-A is the standard product and is the version used to inhibit acetylcholinesterase. This action limits its dosage significantly but has therapeutic benefit in its own right. [+] Huperzine-A is a synthetic stereoisomer with lower antiacetylcholinesterase activity, making it useful in much higher doses for other neuroprotective benefits. This version has shown significant protective ability against nerve agents at doses as high as 40mg/kg . Take note that this is micro grams not grams. Very small dosage. Huperzine-A is a sesquiterpene alkaloid. Its extracted from Huperzia spp. is [-]Huperzine-A. . This is the primary therapeutic molecule for its beneficial antiacetylcholinesterase activities. A synthetic stereoisomer has also been created which is identified as [+]Huperzine-A. This synthetic isomer has far less antiacetylcholinesterase activity, which allows it to be used at a higher dose to achieve other neuroprotective actions in the body. . The antiacetylcholinesterase activity of huperzine-A is incredibly potent compared to pharmaceutical options like galantamine and donepezil. It's a reversible, selective, and well-tolerated inhibitor of the enzyme, allowing it to produce minimal side effects . Several studies have shown the neuroprotective effects of huperzine-A against a variety of cognitive disease states. It is essential to understand the difference between [-] and [+] huperzine-A as the therapeutic doses are significantly different. Antiacetylcholinesterases are a mainstay of treatment for the development of Alzheimer's disease . Due to the significant antiacetylcholinesterase activity of huperzine-A, it has become a popular choice in treatment for this condition . The pathology of Alzheimer's is highly complex and involves several degenerative conditions. Therefore, no single treatment is going to realistically offer protection from the disease, but rather a combination of multiple therapies. There are some well-understood pathways that lead to the development of Alzheimer's which can be used to identify new and improved methods of correction. The development of Alzheimer's mainly involves a buildup of beta-amyloid plaque in the neurons of the brain . Other factors including an increase of intracellular neurofibrillary tangles (NFT) made up of hyperphosphorylated tau proteins have been closely linked with the development of Alzheimer's disease [10, 12]. Huperzine-A has been shown in numerous studies to offer cholinergic support through its antiacetylcholinesterase activity through blockage of the acetylcholinesterase and beta-amyloid interaction (interrupts the formation of AchE–Ab complex) . Huperzine-A has also been shown to offer protective benefit to the neurotoxic insult brought on by amyloid-beta through abnormal APP (beta-amyloid precursor protein) processing, and improvements in NGF signaling . All of these actions have a direct impact on the pathological state of Alzheimer's disease but fails to address the buildup of hyperphosphorylated tau proteins. This suggests a combination of huperzine-A with therapies aimed at targeting this tau pathway may be more effective in the treatment and prevention of Alzheimer's disease. In a study investigating the protective effects of [+] huperzine-A on the effects of the nerve agent soman, researchers found that huperzine-A was able to protect against the toxicity of 1.2 times the LD50 dose of soman (in guinea pigs) with pretreatment (20-40 mg/kg) . Soman works by irreversibly inhibiting acetylcholinesterase, resulting in seizures, and death. [6, 7, 9]. Researchers have also shown the ability for [+] huperzine-A to protect the rat brain from NMDA induced seizures at a dose of 3 mg/kg . Other reports have provided support that [+]huperzine-A may modulate damage from chemical nerve agents like soman. Some of the protective effects may involve neuroinflammatory pathways like p38 MAP kinase, cerebral edema and associated neuronal death, and acute blood-brain barrier disruption. [5-9]. Huperzine-A is reported to have very low toxicity . Consult your doctor before taking if you are on acetylcholinesterase or choline inhibitors. May have a synergistic effect with cholinergic for nootropic benefit. Zhang, H., Yan, H., & Tang, X. (2008). Non-cholinergic Effects of Huperzine A: Beyond Inhibition of Acetylcholinesterase. Cellular And Molecular Neurobiology, 28(2), 173-183.